… and start a free trial subscription to Weekdone team goal-setting and productivity tool. Most important aspect of running a successful business is setting the right goals and executing them well. It’s about Objectives and Key Results, better known for their acronym: OKR. 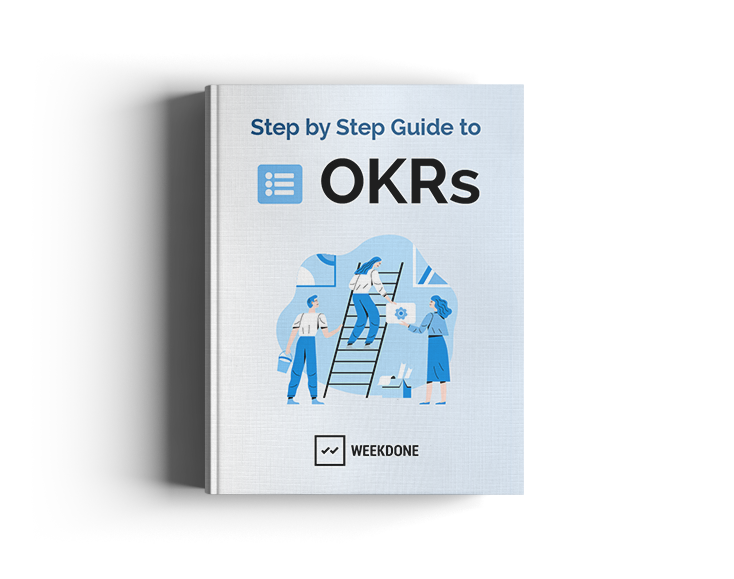 This is a “How-to” guide to get started with OKRs and to help your team or a company implement the best goal setting system currently out there. You have time to kill during a plane ride. Free subscription to Weekdone Leadership Academy premium content newsletter. Find out how to set the right goals and focus on the important tasks. Learn about the most beneficial aspects of using Objectives and Key Results. Learn about the evolution of Objectives and Key Results and how it became the popular methodology it is today. Figure out how to set great quarterly objectives that energize your team and keep you on track. Understand how to set and follow SMART key results that make sure you do less fake work everyday while getting closer to your goals. Understand the process of grading your quarterly goals and improving yourself every week. Look through a wide variety of example OKRs for different teams to understand what are the best solutions for your company. Alexander Maasik is a communication specialist and writer at Weekdone OKR app. He has been researching OKRs and goal setting for a few years, conducting interviews with experts, and users, and figuring out the best practices. He has a degree in journalism and public relations and a strong passion for internal communications and team goal setting. He also really likes rabbits.